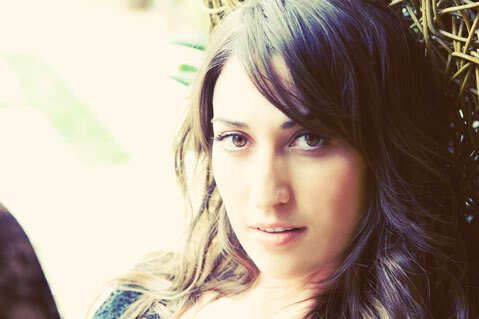 Singer/songwriter Sara Bareilles headlines this year's annual Kids Helping Kids benefit concert at the Granada Theatre. Also locked in for Saturday’s Kids Helping Kids gig is opener and longtime organization supporter Tyrone Wells, who has had a performing role in the event for the past four years. Known for his pensive, heartfelt ballads and upbeat, production-rich serenades, Wells’ folk-tinged tunes have been featured in films and television shows consistently since 2009. His new record, Where We Meet, is already completed and scheduled for a March 2012 release, which means Saturday’s show is sure to include a wealth of new, as yet unheard live material. The all-ages show starts at 7 p.m. Call 899-2222 or visit granadasb.org for tickets and info. And for more about Kids Helping Kids, visit kidshelpingkidssb.org. Nowadays, Greenwood is touring sans band and focusing heavily on the soulful harmonies and unlikely chord structures that have come to mark his approach to writing. He’s also licensing his songs to more commercials, televisions shows (Entourage, CSI: Miami), and films (Trouble the Water, Alpha Dog) than I have room to list. In short, whether or not you’re familiar with Cope’s back catalog, I recommend sitting in an getting yourself acquainted. The show starts at 8 p.m. Call 962-7776 or visit clubmercy.com for tickets. GOINGS ON: Punk-rockers rejoice—’90s stalwarts No Use For a Name return to S.B. and plug in at Velvet Jones (423 State St.) on Thursday, January 12. Visit velvet-jones.com for tickets. Also this week, the David Bromberg Quartet shares a double bill with Hot Tuna at the Lobero theatre (33 E. Canon Perdido St.) on Friday, January 6, at 8 p.m. For tickets and info, call 963-0761 or visit lobero.com. On Saturday, January 7, the co-headlining action continues when Venice Beach’s Paladino and Pasadena’s Old Californio take to the stage at Goleta’s Mercury Lounge (5871 Hollister Ave.) for a 21+ show at 8 p.m. Call 967-0907 for info.